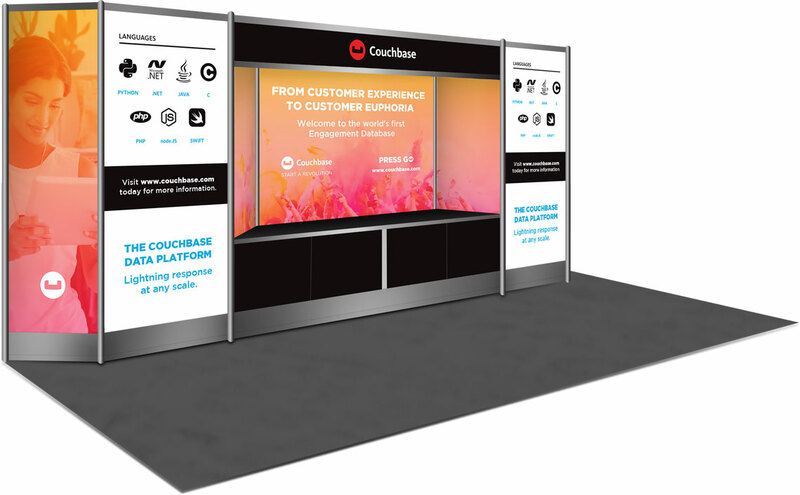 To help make a great impression at some recent trade shows, we produced several booth designs for Couchbase, creator of the world’s first Engagement Database. We incorporated key staples of Couchbase’s “Start a Revolution” branding into the design, emphasizing exceptional customer experiences with headlines such as “From Customer Experience to Customer Euphoria”, as well as the brand's colorful paint bursts. Combined with human imagery underscoring the feeling of enjoyment, the imagery helps show that Couchbase empowers innovation through people.